How to Add a Youtube Account to Adsense? Most Important. 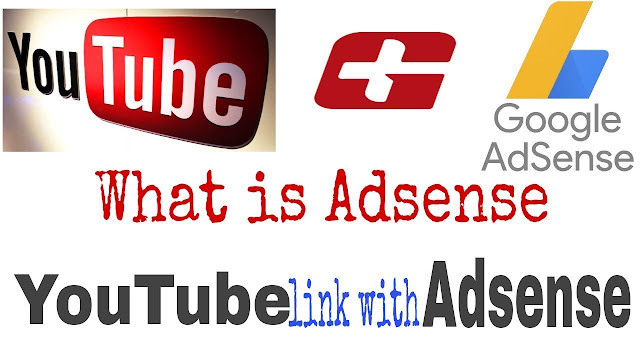 How to Add a You tube Account to Adsense? This question is very much in the minds of people.Today we will answer this question.And I'll tell you something interesting.Friends is my name is Ganpat Today, I'm going to tell you how to connect AdSense to YouTube, so friends start today's topic. Connecting You tube account to ad sense is very easy. First you have to click on my channel and click on video manager. After clicking on Video Manager, click on channel in the left sidebar and click on monetization. After clicking on the monetizetion, click on it in the guidelines and information that will show how will i paid. After clicking on how to paid, you have to click on associate an ad sense account. After clicking on the associate an ad sense account, you will be shown the window of the monetization where you have to click on next. After clicking on next, your new window will open. In which you have to enter your information on google ad sense account. Enter your gmail id first in Google Ad sense and click on signin. If you want to create ad sense from new Gmail You can also create a new account by clicking on create account. Select your language there and click continue. After clicking Continue, you must correctly enter your complete information in your information. After submitting the full information, click submit on my application. Your ad sense application has been submitted and is being reviewed. You will receive an e-mail related to your application within about a week "
This means that you have submitted google adsense account application. This can take up to "1" weeks. Your adsense account is now connected to google adsense. If you have not understood any thing related to this artical then you can ask us your question by commenting. your blog is good but your blog post is too short. i think every blog post shoud have at least 1000 words for great seo.